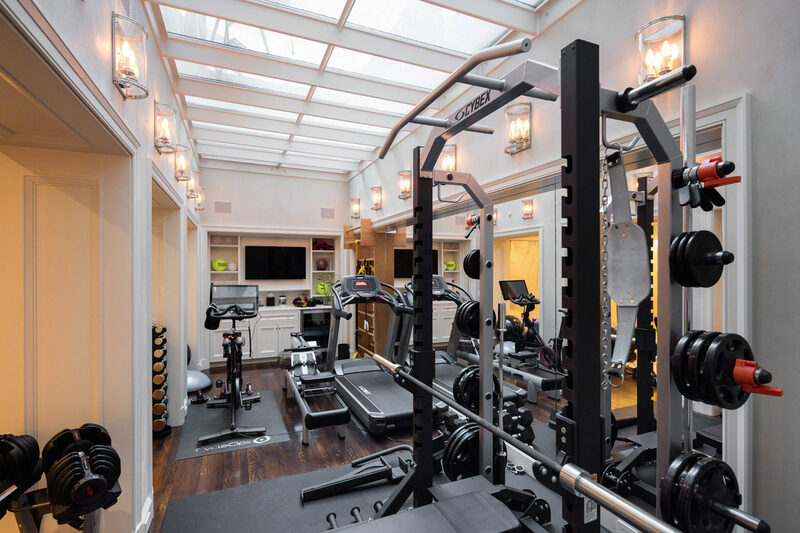 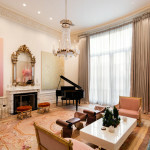 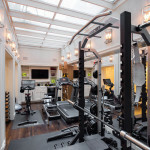 Somerset Partners’ Keith Rubenstein just put his 15,000-square-foot townhouse at 8 East 62nd Street on the market for $84.5 million, outdoing Carlos Slim’s $80 million listing. 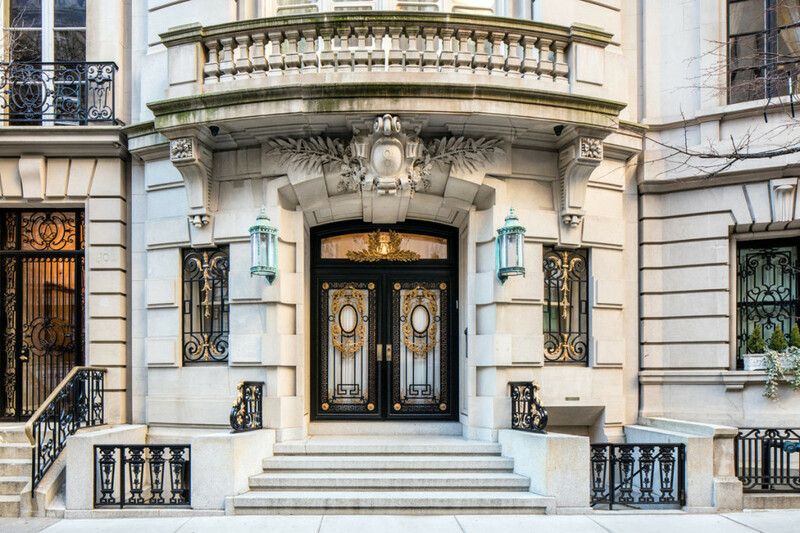 The luxury-filled Upper East Side home is one of the city’s priciest townhouse listings ever (h/t WSJ), and if it fetches the listing price it would set a Manhattan townhouse record, besting the Harkness Mansion’s 2006 $53 million sale. 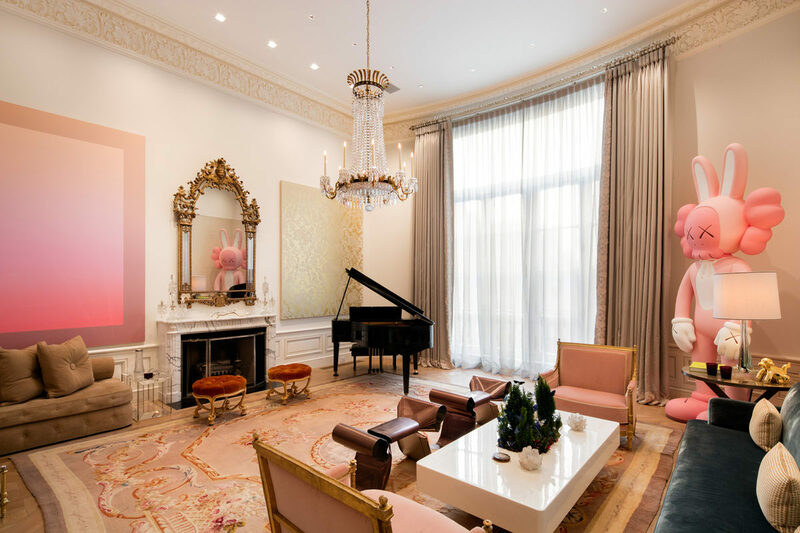 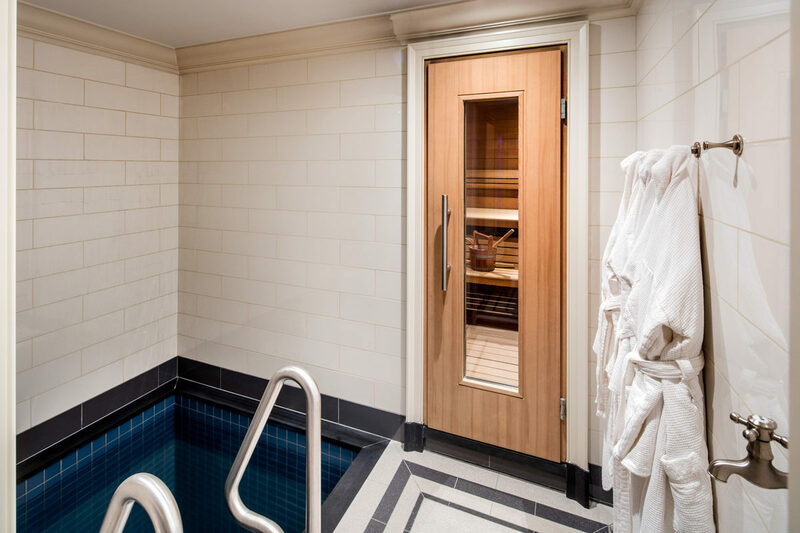 In addition to marquetry flooring inspired by those at Pavlovsk Palace in St. Petersburg, there are his and hers suites, a basement spa and gym, and a pretty unique modern art collection (see the massive KAWS bunny sculpture in the living room). 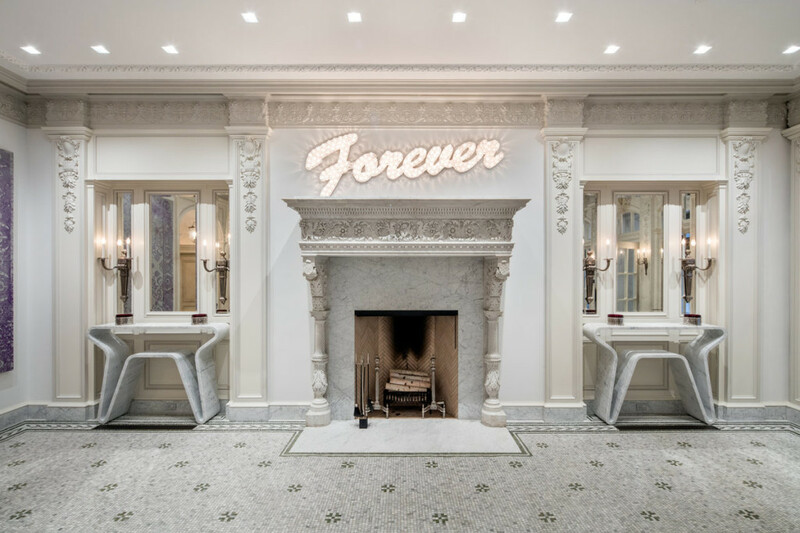 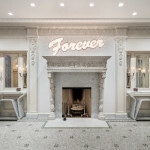 Some off-the-wall features include red Hermès leather walls, a smoking room equipped with ventilation system, and a dressing room with a lighted handbag display and temperature-controlled fur vault. 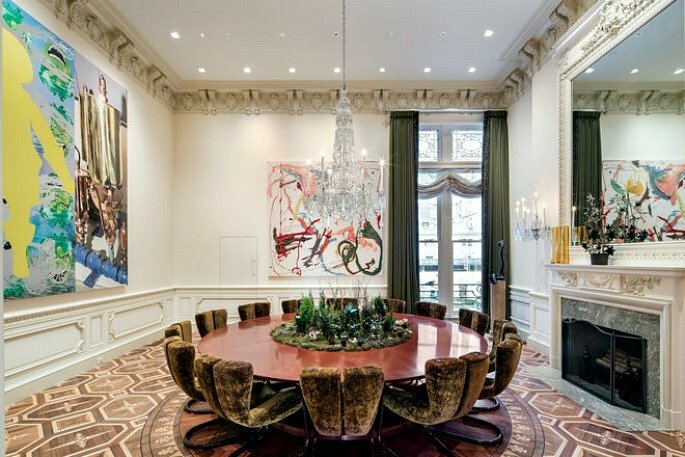 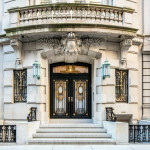 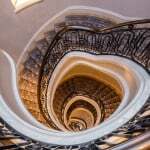 Built in 1903 by John H. Duncan who, according to the listing, is the “legendary architect of Grant’s Tomb,” the Beaux-Arts townhouse totals 15,000 square feet across six levels, with six bedrooms and 14 bathrooms–and that’s just the beginning. 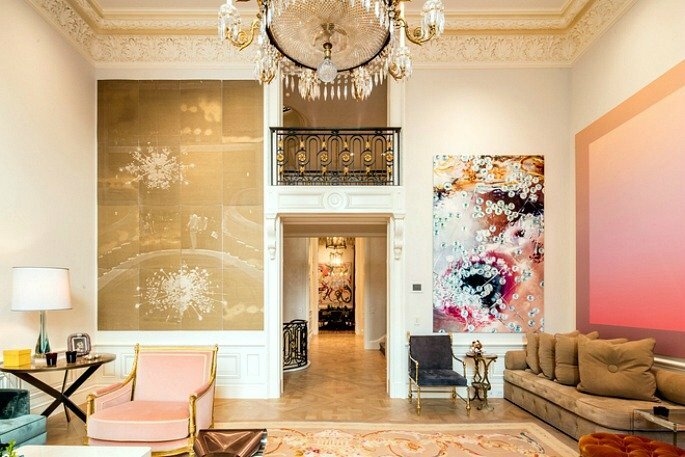 Packed with “Gilded Age splendor,” the home just underwent a three-year renovation. 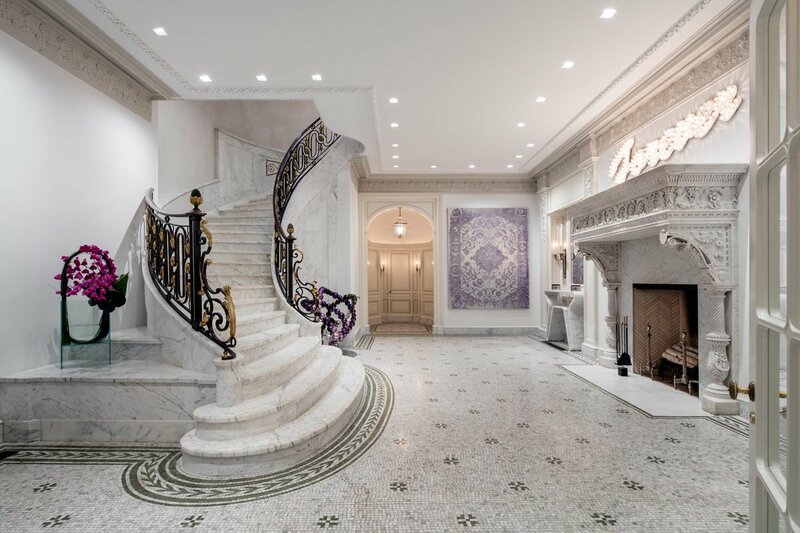 A few unmissable details include a sweeping marble staircase with decorative wrought iron and brass balustrades, formal living and dining rooms with 17-foot ceilings, a wood-burning fireplace and quarter-sawn white oak wood floor. 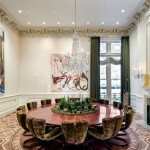 Said dining room enjoys an unobstructed view that spans one full city block to the Pierre Hotel. 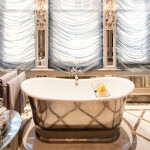 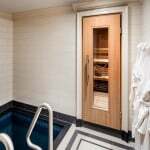 A few big-ticket-worthy highlights include a custom master library with en-suite men’s quarters offering a full bath and dressing room with mahogany-tone lacquered millwork with bronze trim that has “the feel of an old school gentleman’s club,” and a shower equipped with a custom Olympic Grey marble shaving sink and anti-fog shaving mirror. 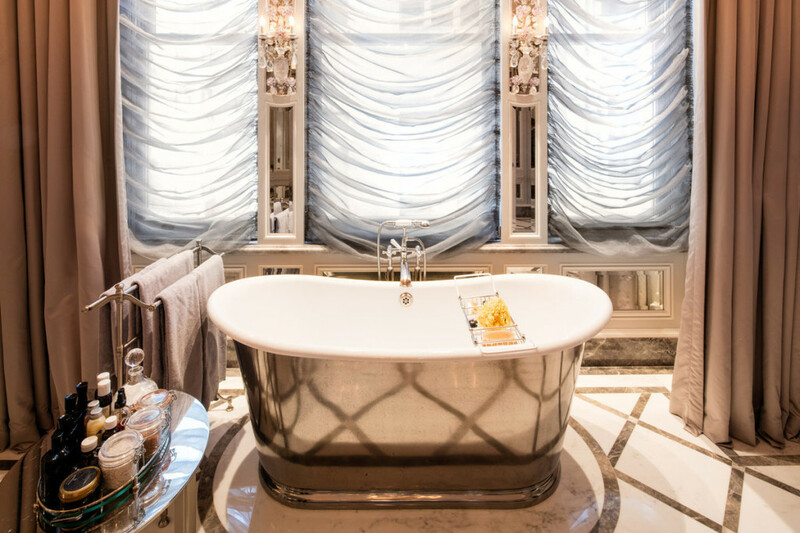 The lady’s boudoir is appointed with a Waterworks tub, gas fireplace, heated floors, steam resistant mirrors, and Biszet cosmetics refrigerator. 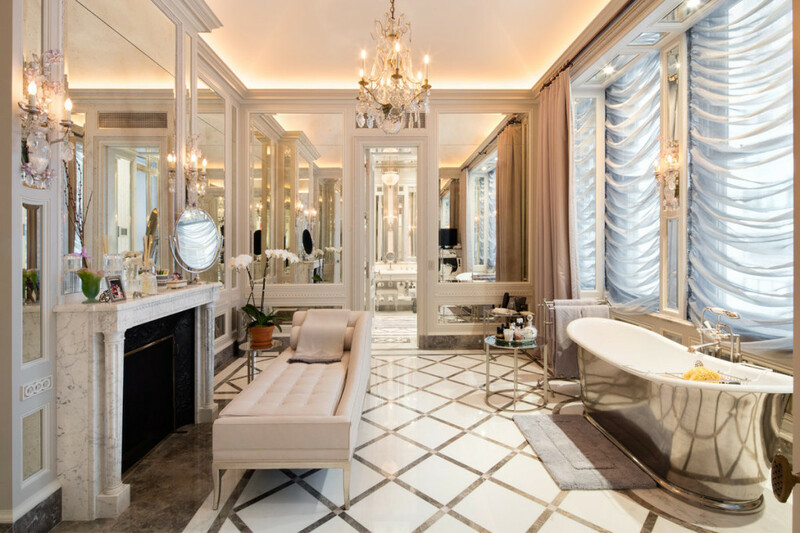 A private stairwell leads you up to the dressing room, a three-room suite with custom millwork cabinetry, glass shelves, lighted handbag display, and a temperature-controlled vault for furs. A 2,500-square-foot rooftop terrace has an elevator entry and contains a lounge area, dining area protected by a cedar pergola, a full outdoor kitchen with built-in BBQ grill and outdoor refrigerator, powder room, three-jet fountain, Zen rock garden and Central Park views. 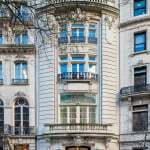 The developer and co-founder of the real-estate investment firm Somerset Partners and his wife purchased the home for $35 million in 2007 and spent several years renovating it. 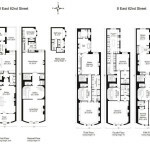 The couple told the Journal that they’re empty nesters now that the kids are in college and, like the rest of us, “we like to move every now and then,” and might look into moving back downtown where they lived previously.